Fashion illustration has been a staple in most fashion magazines such as Vogue, Elle, Harper’s Bazaar and such. Other than seeing fashion illustrations in magazines it is also used in advertising, fashion boutiques, shows and even in event flyers. The rich fluid lines, bold colors and sometimes the painterly like quality of an illustration brings a whole different sense and meaning in translating clothes that captures and entertains the viewer. While photography does a great job in showing the beauty of fashion, there are times that a good old hand made work brings out a more intimate and sincere approach. 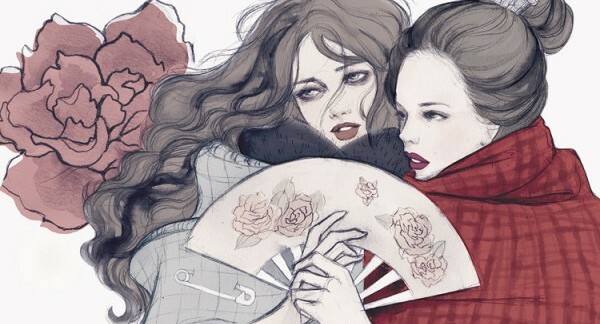 This is why for today’s post we are bringing you dear readers some of the most talented and upcoming fashion illustrators and a piece of their work for your eyes to feast upon. If you were Anna Wintour of Vogue or Glenda Bailey of Harper’s Bazaar who needs to have a stunning and a visually captivating piece for the next issue, which for these awesome pieces will you feature in your magazine?